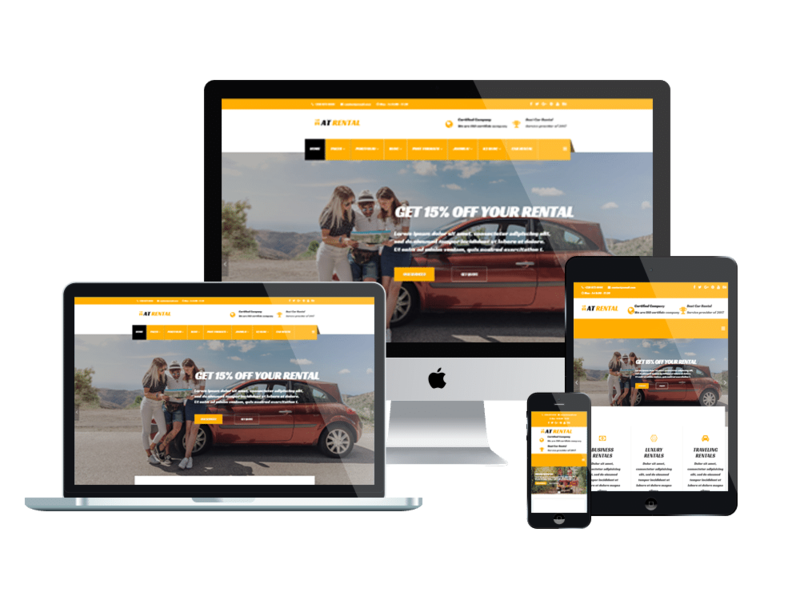 AT Rental is a Joomla Car Rental website template that has been fully equipped with attractive design and essential extensions to promote your car rental business in a stunning way. This amazing theme comes with a flexible layout, so it will adapt perfectly on every platforms in an outstanding fresh look, without wasting your time for building it. 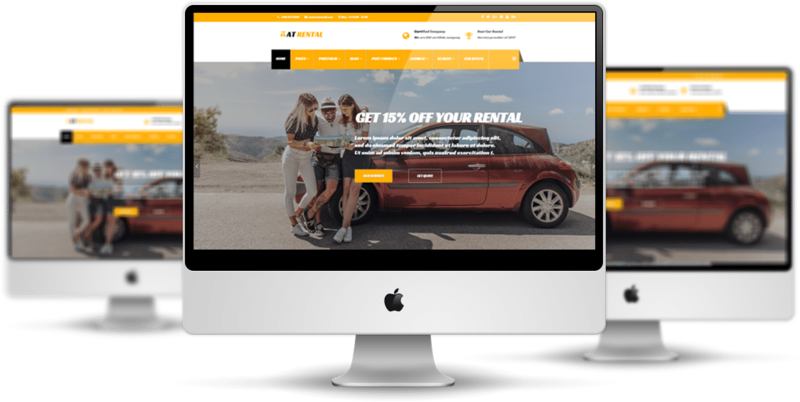 Based on powerful framework with fully bootstrap, strong shortcodes, unlimited position and fully customizable layout, AT Rental is a right choice for you to go with in order to create a professional and modern car rental website without putting any effort. 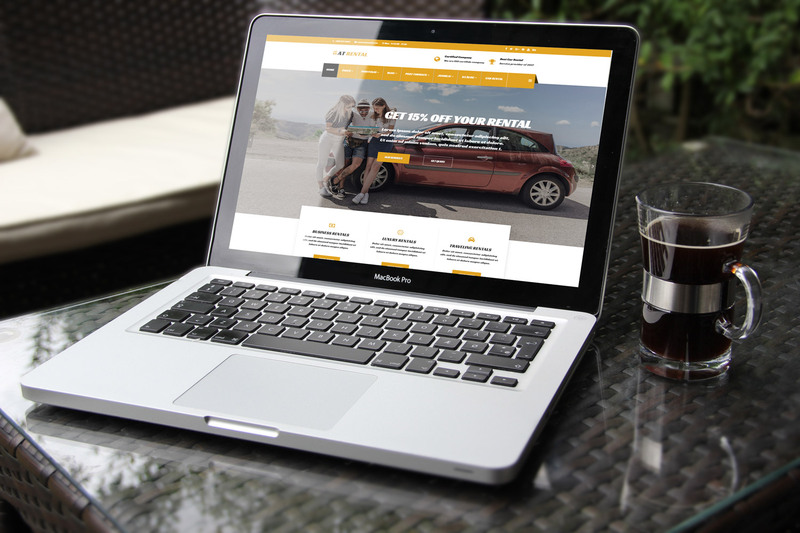 Besides providing a user-friendly background interface, our Joomla Car Rental website template also brings a flexible and beautiful homepage which includes boxed and full-width layout, drag-drop layout, unlimited position, and 4 color styles, which make sure you will get the best web development experience while working with it. 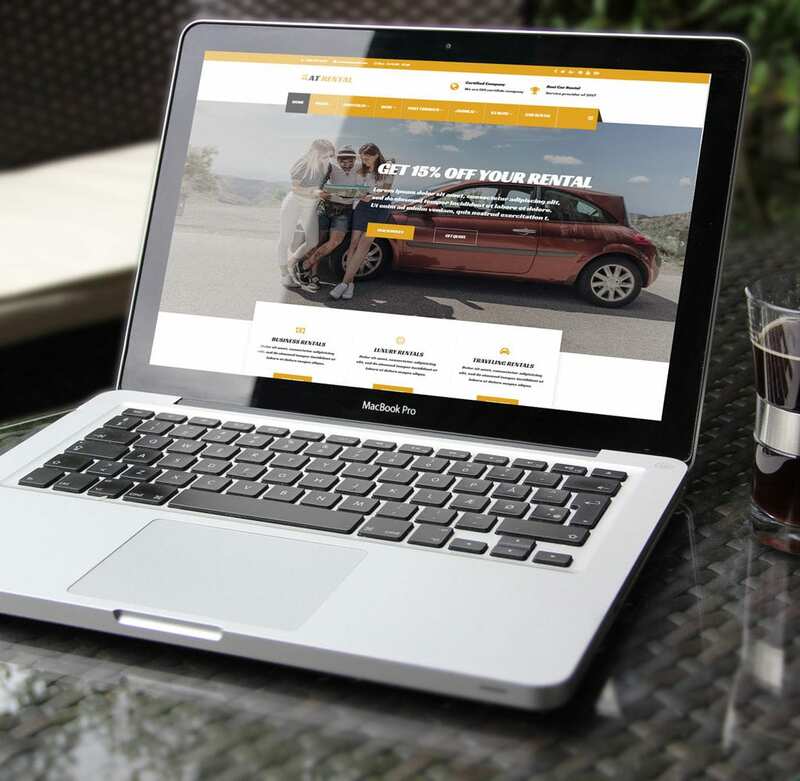 It is easy and convenient for your clients to visit your site anytime from anywhere, because AT Rental is fully responsive on all mobile devices and PC, even on the latest model. Especially, we have integrated Vehicle manager extension – a car dealer software that allows you to sell, rent all kinds of vehicle to AT Rental, so you can run your online business in the most efficient way. 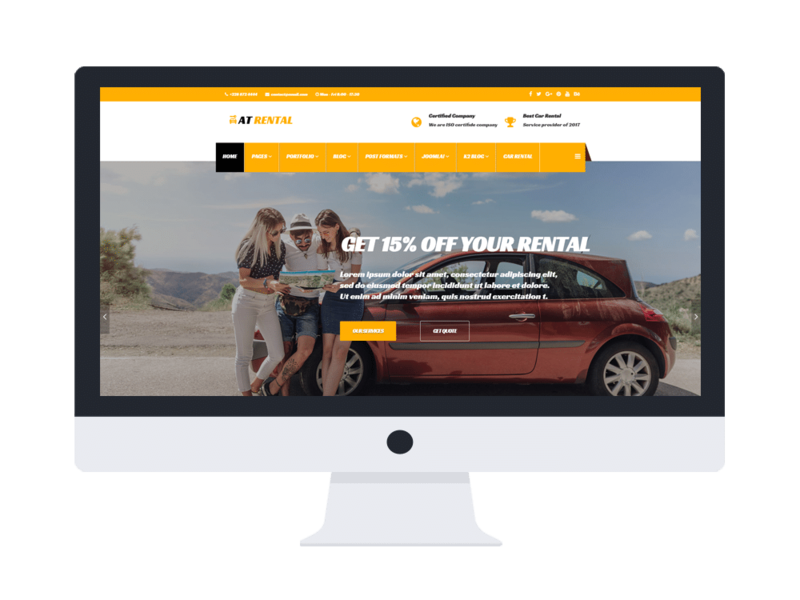 It’s time to put off your site’s old clothes and give it a brand new appearance with AT Rental! AT Rental Website template is simple, clean looking template designed mainly for new business websites. It’s easy to custom and edit content via convenient template parameters. AT Rental Website template builds with fully responsive layout based on Bootstrap CSS. It has special built-in design optimized for modern mobile devices iPhone, Android and Windows Mobile-based. 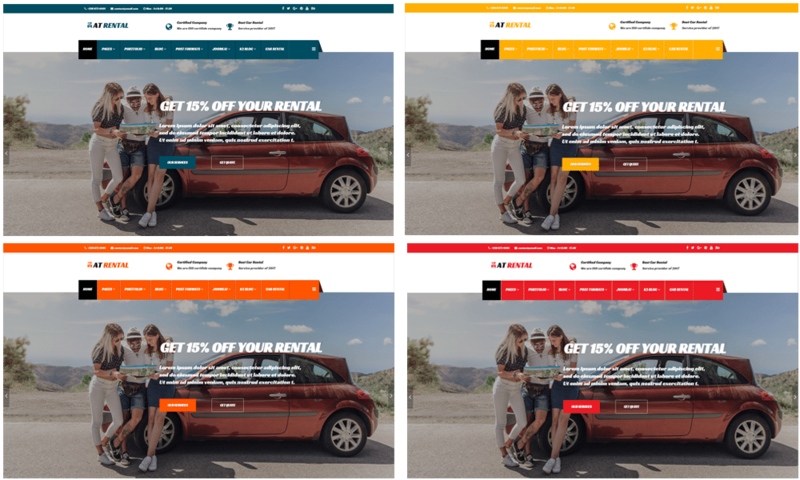 AT Rental Website template supports 4 color styles helping to create gorgeous websites with various layouts. Besides, the template comes with flexible homepage which includes boxed and full width layout. You can see demo via Template Site Tool on demo site. It’s also easy to extend color styles.